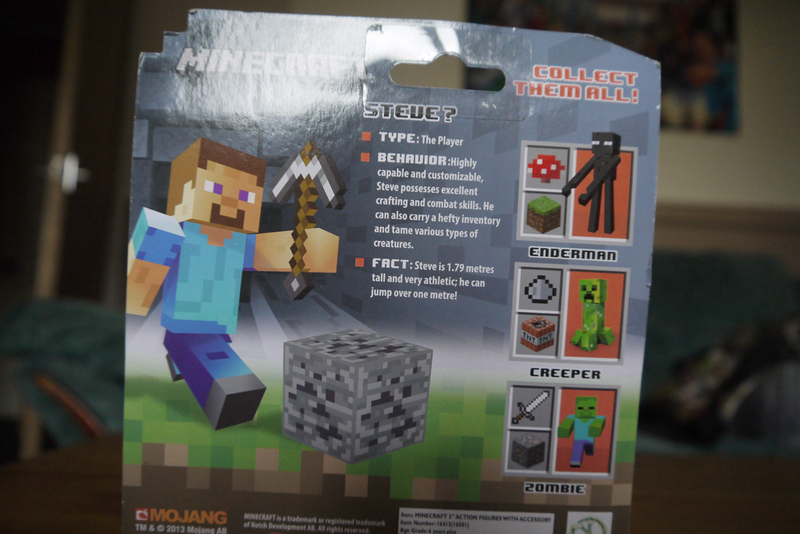 You could say that these toys are Top NOTCH!You know, because the guy who created the game is called Notch? 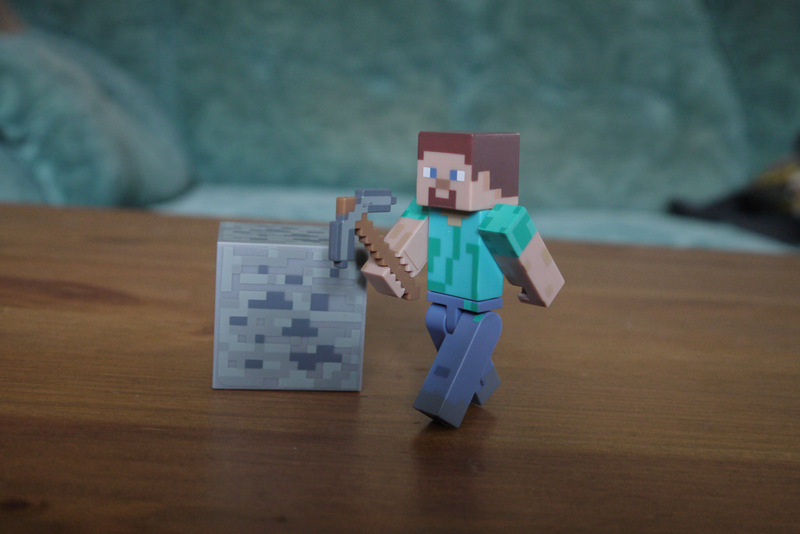 Alright, back off, you come up with a better Minecraft joke and post it in the comments below! 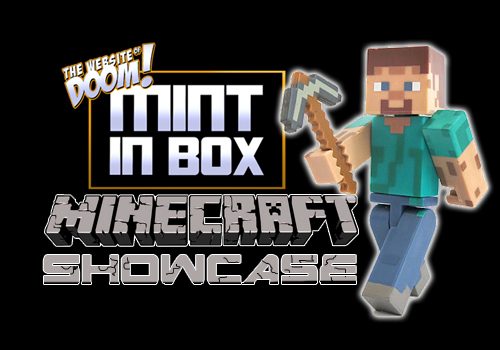 Minecraft is a video game phenomenon and it’s only right that there’s merchandise to accompany it so Jazwares, producers of other video game action figures, have teamed up with Character to bring Minecraft to the UK and I have a selection of toys to show you! 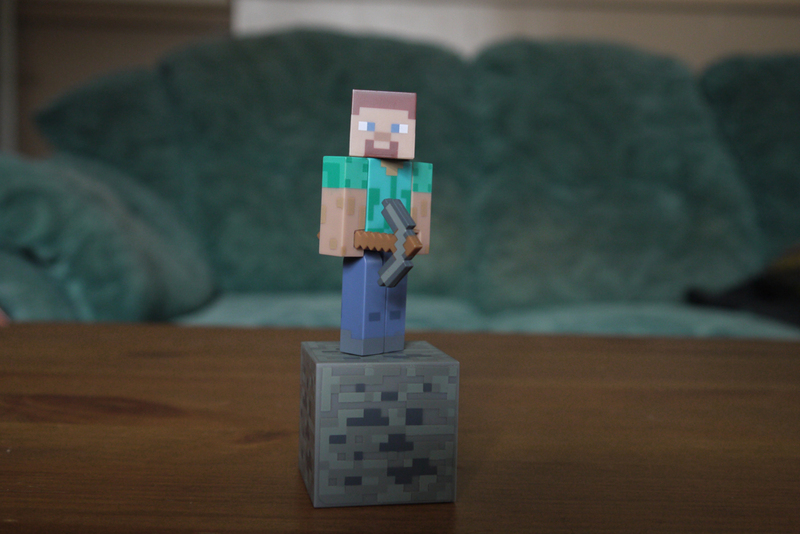 First up is the hero/villain/everyman of Minecraft, Steve? Yes, I’m including the question mark because Steve? 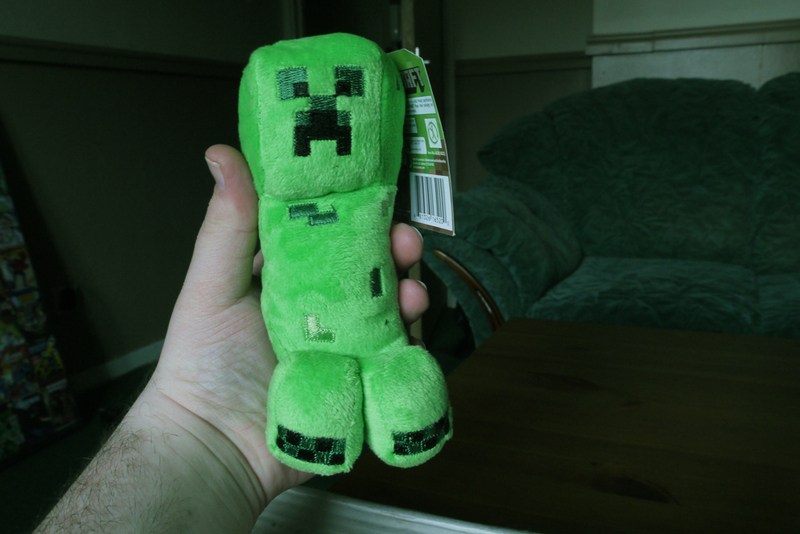 earned it in the Nether fighting Ghasts. His ambiguity is his strength. This is one of the 3-inch figures and I love it. 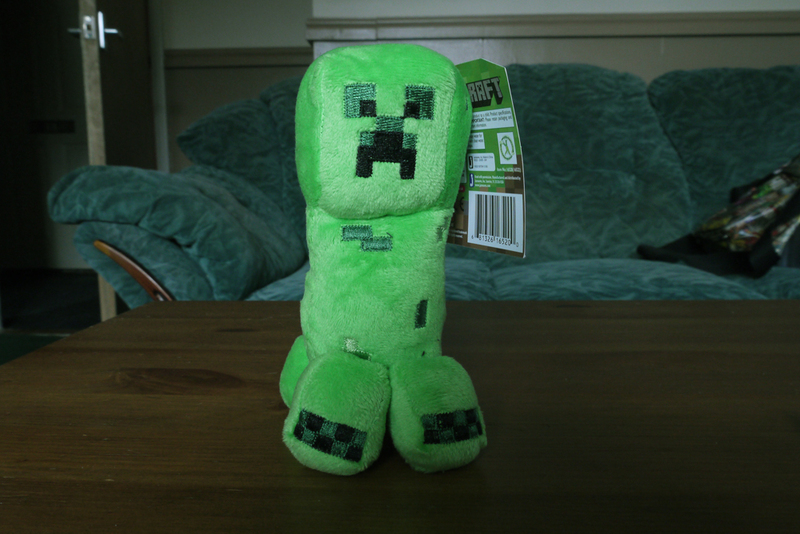 He’s got the right amount of articulation and his tampographed pixel details are perfect. The whole figure has a lovely matte feel and it’s not often I comment on a toy’s texture, especially in a positive way. 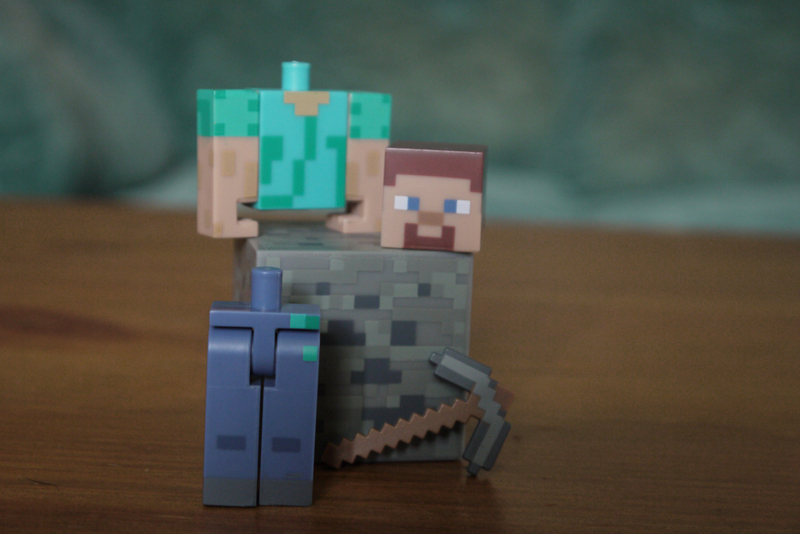 I also like that you can disassemble Steve? 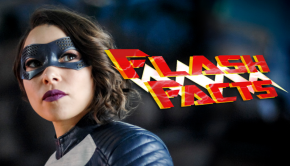 in much the same way you can with a LEGO minifigure so hopefully down the line there will be some mix and match options. 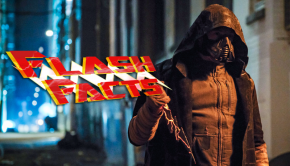 I also dig the grooves in the hand that accomodate the iconic weapons and tools. It’s a clever way to bypass an otherwise awkward design choice. 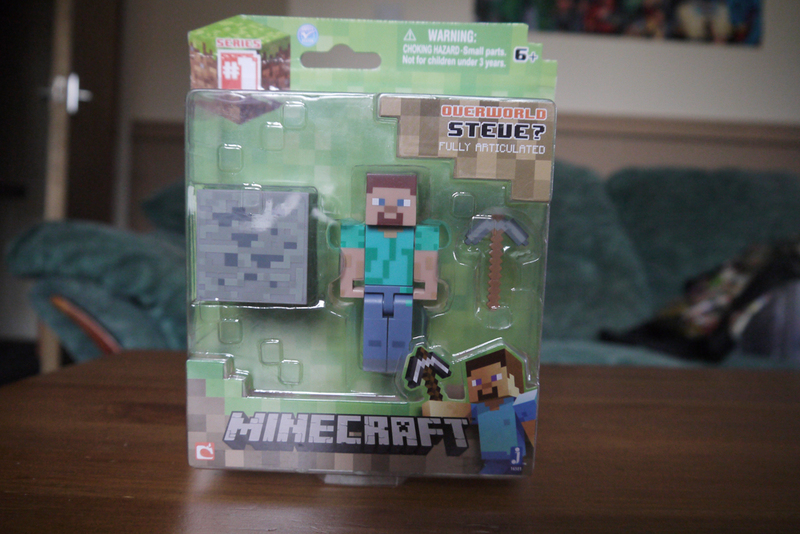 He also comes with a plastic coal ore block to scale with Steve? 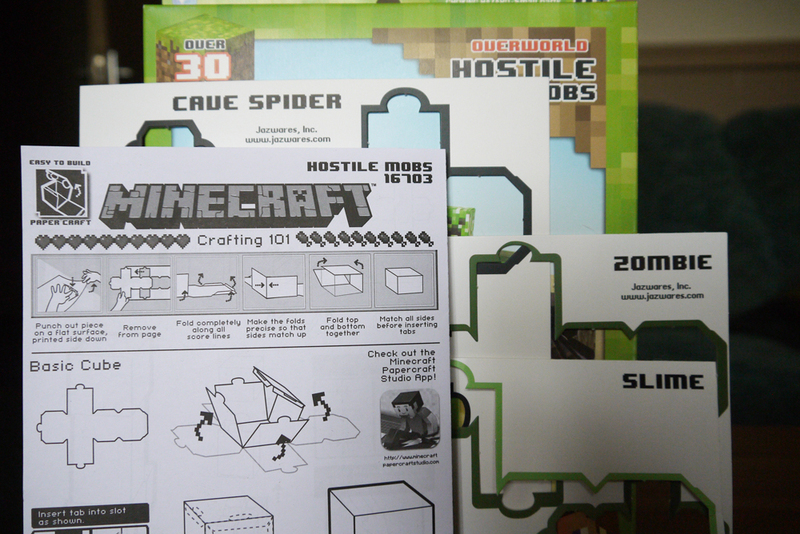 And finally we have the 30-Piece Hostile Mobs Papercraft pack. 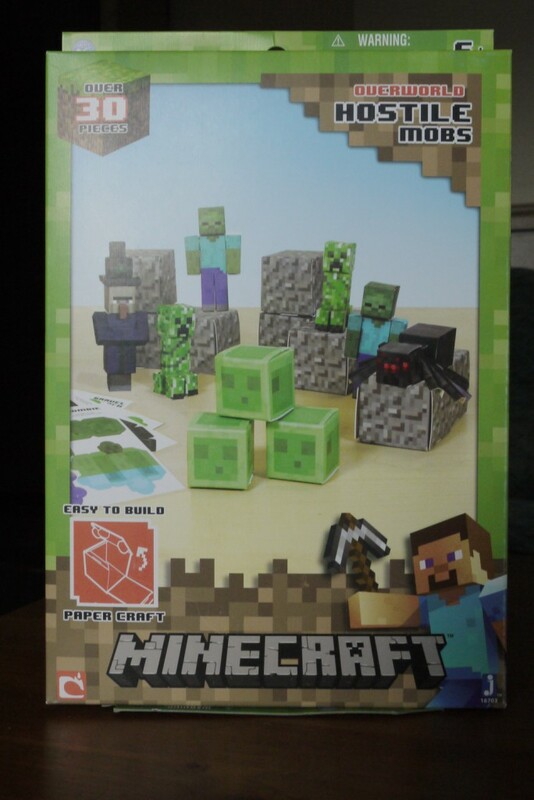 This appears to be the bread and butter of the Minecraft range as there are 8 different packs of these paper craft sets to collect and the range allows for you to build a more complete world than the little plastic blocks included with the 3-inch figures. 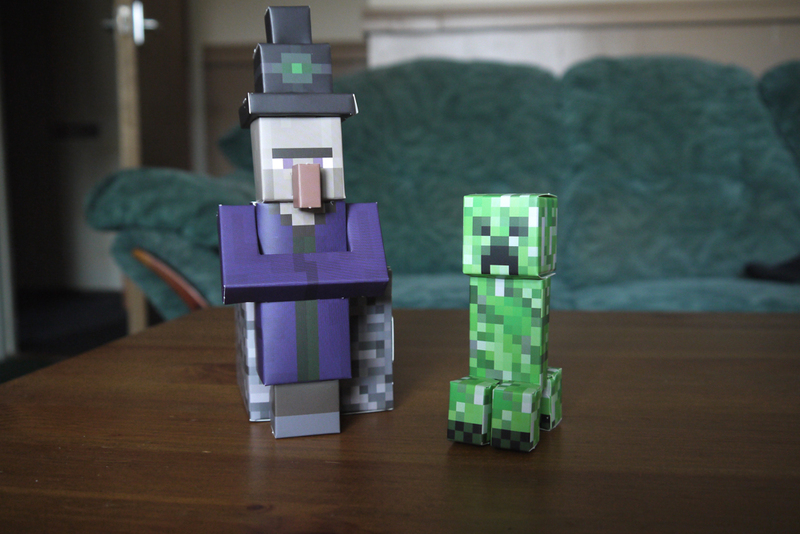 It’s just a shame that the two ranges are not compatible as the Papercraft sets are about twice the size. 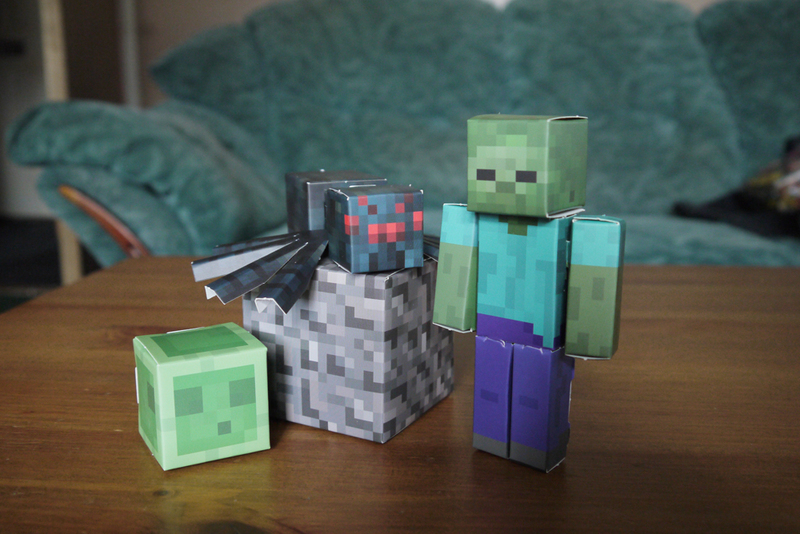 The Hostile Mobs pack includes 3 constructable models for each of the five included creatures, as well as ten constructable gravel blocks and some stickers. 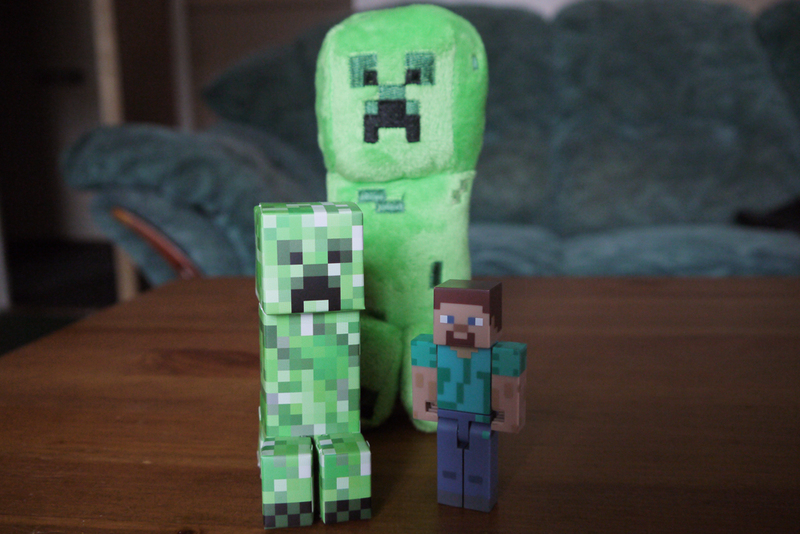 I’ve constructed one of each of the mobs as well as a gravel block and while the Cave Spider’s legs are a messy affair, the rest of the models come together quite well, my favourite being the iconic Creeper. This is also the first time I’ve ever seen the Witch mob. 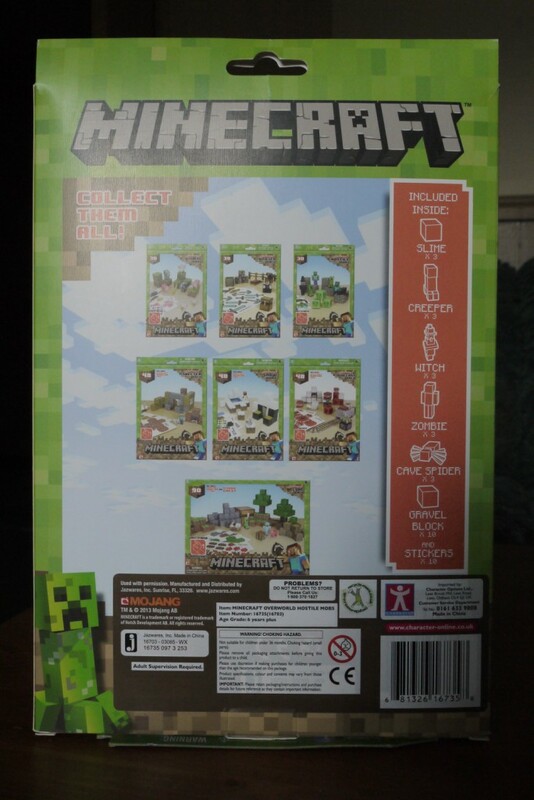 The Minecraft line from Jazwares (and imported to the UK by Character) is a fun little jaunt into a larger video game world that I highly recommend. The 3-Inch figures are great desk toys and anyone looking for a creative activity for the kids could do a lot worse than the fun Papercraft range and who doesn’t like a plushie explosive? 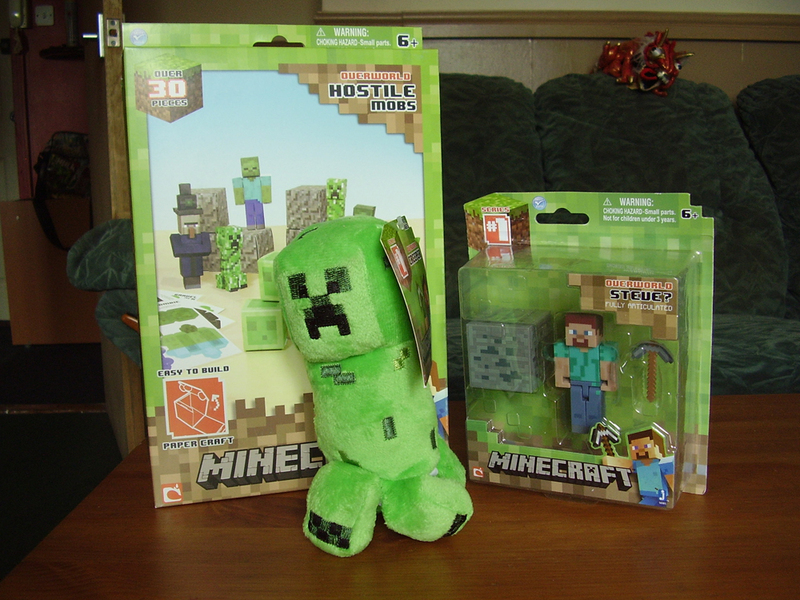 You can find all these products at most good toy stockists. Normal Kombat Episode 3: WWE ’13, Part 3 DIVAS!